When she finally decides to walk away, she’s done. She could be your wife or girlfriend. You might think she’d never leave you, that she’s stayed too long to just give up now. She might not be a person known for giving up easily. She might be someone that sticks with things, someone who knuckles down and keeps on going, even when the going gets tough. She might be a strong lover, a fighter, someone who won’t just shrug her shoulders and give up when the chips are down. But everyone has a limit. Everybody has their breaking point. No one will put up with being second best forever. If you’re constantly making her an afterthought, if you treat her like an inconvenience that you have to deal with if you want to keep everything smooth and maintain the status quo, know that your days with her are numbered. She won’t put up with it forever. The day will come when she’s tired of not being a priority in your life. When she’s done with the last minutes changes of plans, with the excuses, and the laziness and the total lack of effort. Deep down, she knows she deserves better. She wants someone who will treat her the way she deserves to be treated. The day will come when you do something that will be a step too far. It will be one too many times. The straw that breaks the camel’s back. And when it happens, you’ll be blindsided. You won’t see it coming. You’ll ask her what changed, why she’s decided she wants to walk away. Know that you had it coming the whole time. When you’re lying awake at night, staring at the ceiling, thinking about what an amazing woman you had and how badly you wish you could get her back, know that it wasn’t just one thing. Know that you never treated her properly. Know that it was never enough. She put up with you not being enough for a very long time, because she’s a fighter. She holds on to those she loves, and she does everything in her power to make it work. But she couldn’t bring herself to hold onto you anymore. She realized that she finally had to take control of her life, that she is the only person who can really make herself happy. So, she walked away. When the day comes that she finally says ‘enough is enough’ and leaves you, know that she’s finally done, and that she won’t be coming back. She’s given you enough chances to change. She’s tired of telling you over and over that you don’t value her the way she values you, that you don’t listen to her, that you don’t really care. She’s done with it all, and she’s putting herself first for once. 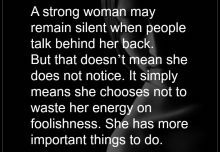 She chooses not to waste her energy on foolishness. If he wanted to be with you, he would be with you. If she is your best friend …there are other rules of the relationship.And these rules exclude cruelty in any form. Enough is enough. Before you start feeling, withdraw yourself back. Thats better than giving chances. This is great! The writer thought this through and spoke for the.person going through something like this. Good job! This was me a year ago. 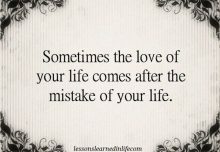 I did for every one but when the person i had married didnt listen when i told him i wasnt happy i walked away. He cant understand and really didnt know the person i was fir 30 plus years. This is the PERFECT letter I wish I had sent to a very, very, very sub-standard ex-husband. I’ve never been treated so poorly by anyone on this planet. WHY did I put up with it for 16 long and miserable years? I knew in year #1, I should make him leave. I thought it would get better. With every year that passed, it grew worse. After I kicked him out, he was in another relationship within 3 months. I actually felt so badly for the new woman. She had small children. He tossed his own kids to the side, not investing anything of worth and purpose to them. To every woman who knows she is worth more….please read this, and do something before you too, have wasted too many pointless years. He knew……he was a selfish sloth and didn’t want to do the work required to make a relationship successful. You were so smart to end it quickly!